MILWAUKEE – Transportation projects that rehabilitated hundreds of bridges, revamped a classic American street, and increased access to local businesses were among the recipients of top honors in the mid America regional America’s Transportation Awards competition. 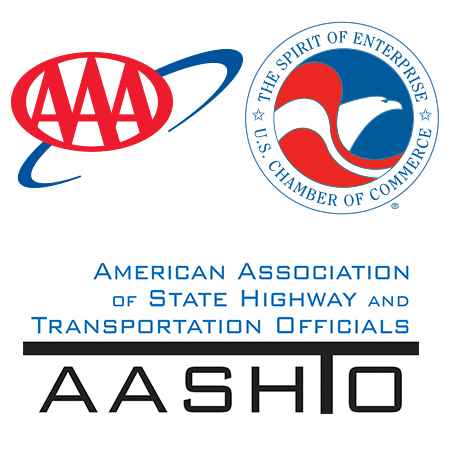 Now in its sixth year, the America’s Transportation Awards competition – sponsored by AASHTO, AAA, and the U.S. Chamber of Commerce – recognizes the very best of America’s transportation projects in three main categories: Ahead of Schedule, Under Budget, and Best Use of Innovation. Twelve transportation projects from seven mid-American states were nominated in those categories. Two states took home awards in the Ahead of Schedule category. Indiana Department of Transportation (INDOT) won in the small category (projects that cost under $25 million) for its I-465/Allisonville Road Interchange Reconstruction Project. Missouri Department of Transportation was awarded the win in the large category (costing more than $200 million) for its Safe and Sound Bridge Improvement Program. In the Under Budget category, Minnesota Department of Transportation was named winner in the medium category (projects costing between $25-$200 million) for the Highway 169/I-494 Interchange Reconstruction Project. Indiana DOT took home a second award, this time for its I-69 Evansville to Indianapolis Corridor (Sections 1-3) Project (large category). Two projects received an award in the Best Use of Innovation category: Michigan Department of Transportation for its Main Street Makeover (M-150) Project (small category) and Missouri DOT won again for its Shared Four-Lane Highway Project (medium category). The winners in the nation’s remaining regions (the southern and western regions) will be announced at their own meetings held throughout the summer. The 10 projects with the highest overall scores will compete for the Grand Prize and People’s Choice Award. The Grand Prize winner is determined by a panel of transportation experts. The People’s Choice Award goes to the transportation project that receives the most online votes from the public. Online voting begins Sept. 4. The winners of both awards will be announced at the AASHTO Annual Meeting in Denver in October.